Designers and their clients covet the timber for use in homes, hip shops and restaurants. Michael Costello knew right away that the heart pine in the old warehouse in Skowhegan was the real thing. Not just because of the tight grain structure and exquisite color, but also because, even after more than 100 years, the wood still smelled of sap, a sign that it was extremely durable and resistant to water and insects. “You can smell it as soon as you walk into the building if it’s the real old growth,” he said. Costello’s family business, Costello Dismantling Co. in Wareham, Massachusetts, was hired to demolish the warehouse by its owner, shoe manufacturer New Balance. Costello’s crew used hydraulic excavators to strip away roofing material, floor decking and the walls so they could expose the structural beams, made from wood that came from trees four or five centuries old. They salvaged as much of the heart pine as they could and sold it to a dealer in reclaimed wood. 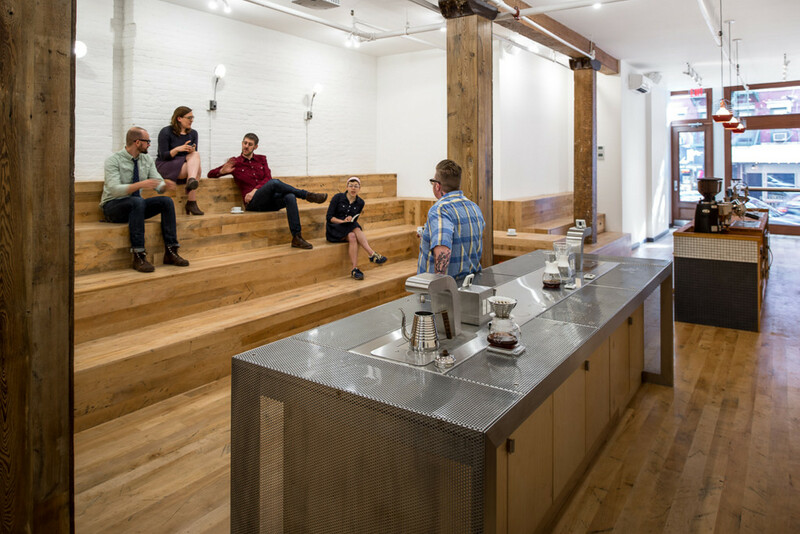 The wood from the warehouse, along with maple flooring from an 1840s-era textile mill in Biddeford, ended up getting new life in a barista training center run by a hip coffee company in SoHo in the heart of Manhattan. 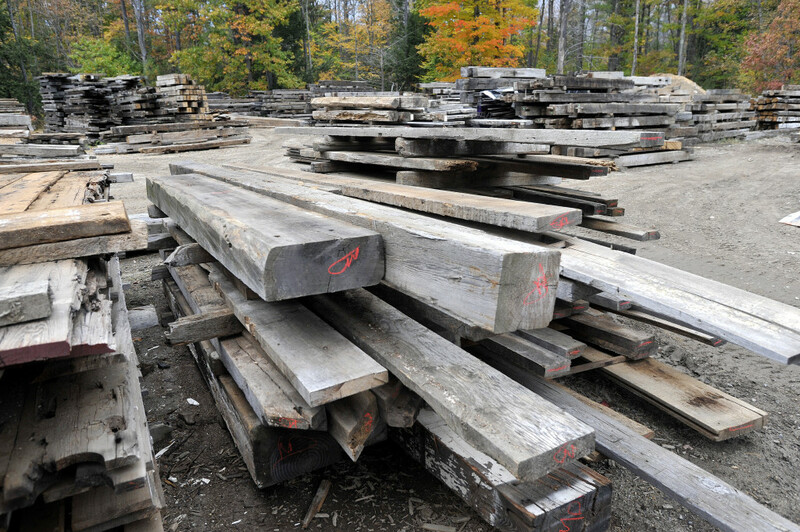 Reclaimed wood from Maine is getting top dollar from homeowners, restaurants and businesses in the big cities of the Northeast as customers seek out both quality and beauty, and wood that has a story to tell. Whether it’s planks from an old barn repurposed into a farm-style table, white oak rescued from the bottom of a river that becomes tabletops in a high-end New York restaurant, or sturdy-but-beautiful heart pine from a church, mill or warehouse – reclaimed wood is trendy. The clamor for reclaimed wood in commercial and residential design has its roots in both the environmental movement and in human nature: Everyone loves a good story, and old wood often comes with a history. For some people, having a story to go with their remodel “is extremely important,” Poirier said. 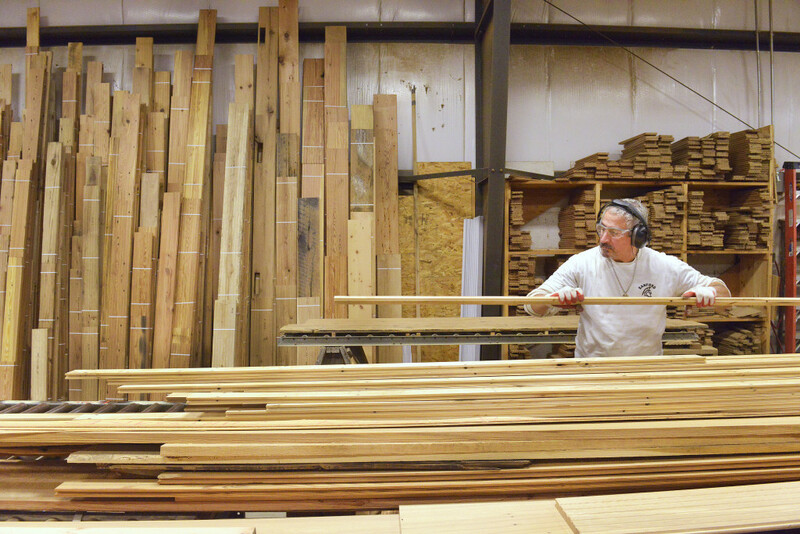 His company buys and dismantles entire historic buildings, so they can tell the customer exactly where the wood originated. But it’s not always possible to tell someone exact origin stories, since barn boards are often lumped together into big loads, at which point buyers choose them by appearance. 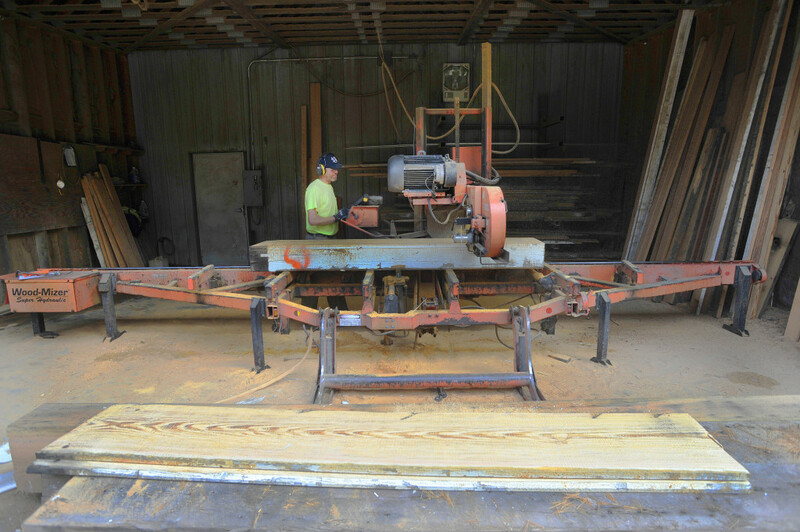 Smaller operators often buy from brokers who are selling wood they acquired from demolition contracts, and they don’t have control over the sourcing. Some Maine wood travels to big cities, some stays right at home. 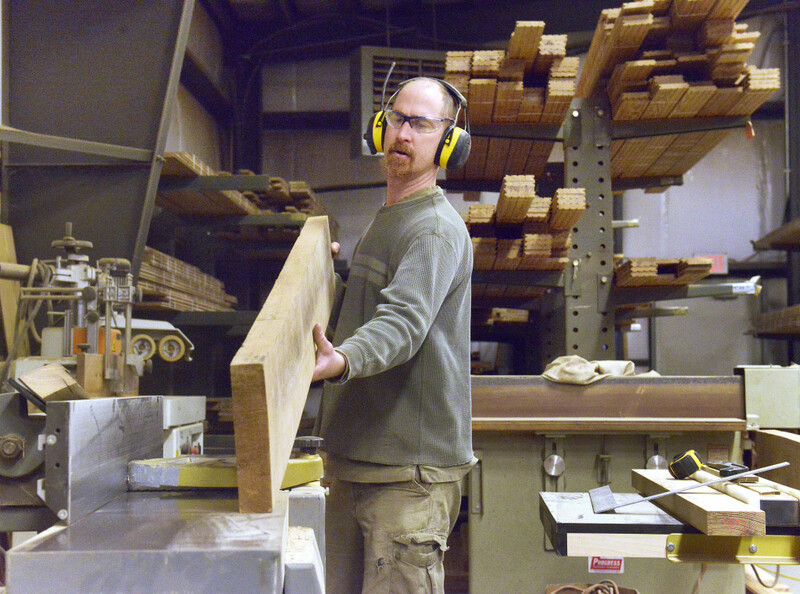 Todd Morrissette, owner of Deadhead Lumber, has made tables for a number of local restaurants in recent years, including the reclaimed red birch used in Bruno’s, Vinland, Liquid Riot (all in Portland) and all of the Luke’s Lobster restaurants (founded by Mainers) around the country. 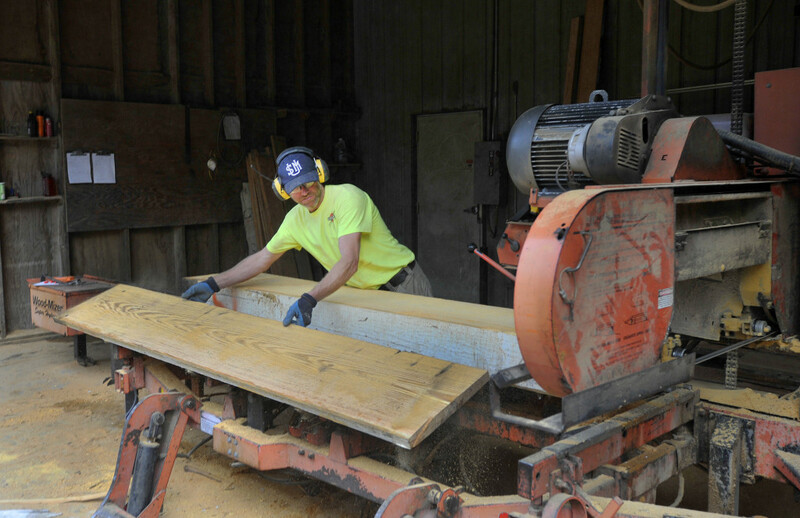 Barn Boards and More, which has a storefront in Hallowell and makes furniture out of barn wood, has made tables for the East Ender, Bam Bam Bakery and Muse Paintbar in Portland, and Trattoria Athena and Enoteca Athena in Brunswick. Owners Brett and Amy Trefethen say they’ve also been doing a lot of business in New York City recently, including sending 21 tables and 2,000 board feet to a project for Muse Paintbar. 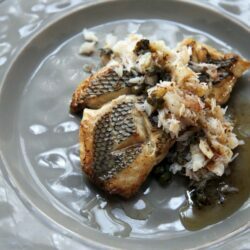 Mark White, a Portland-based fabricator for architects and retailers, made tabletops of reclaimed white oak – some of it from Maine – for Maialino, the Danny Meyer restaurant in New York City’s Gramercy Park Hotel. 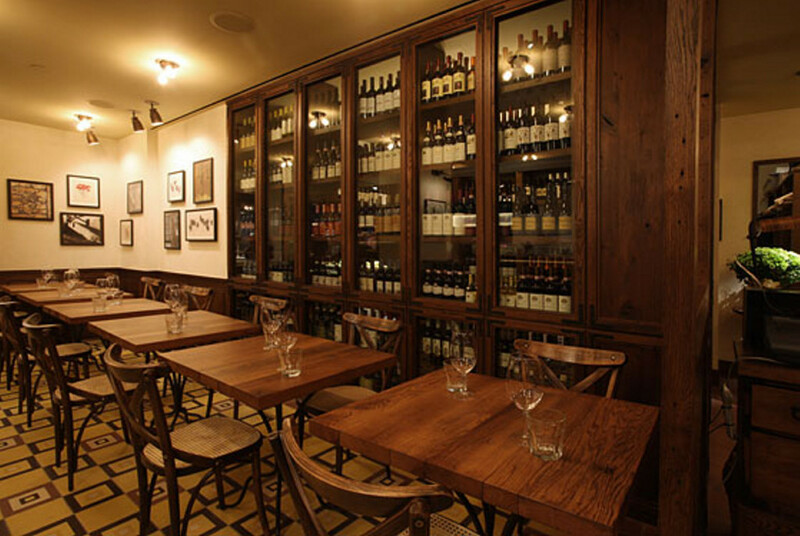 In September, 71 American chestnut tabletops that White made were installed in Tribeca Grill, a well-known restaurant co-owned by actor Robert DeNiro; the wood came from a dairy barn in Massachusetts. Businesses that deal in reclaimed wood may sell many different kinds of wood, but Morrisette says barn board is particularly popular right now, especially used as accent pieces in second homes and restaurants. Wood from historic industrial structures is also hot right now. Less popular, Morrissette said, are the sunken logs from lakes and rivers – deadheads – that he built his business on. Lost in transport as loggers carried them down Maine waterways, these logs have lain for decades perfectly preserved, protected from sunlight, pests and oxygen. The wood most often found in Maine’s historic industrial buildings is heart pine, which actually comes “from away.” Before the Civil War and Industrial Revolution, Poirer explained, Maine structures were usually built with local woods, such as spruce, hemlock and white pine. But after, large factories and warehouses required wood with a greater load-bearing capacity, and southern forests filled with longleaf pine trees that were several centuries old provided it. 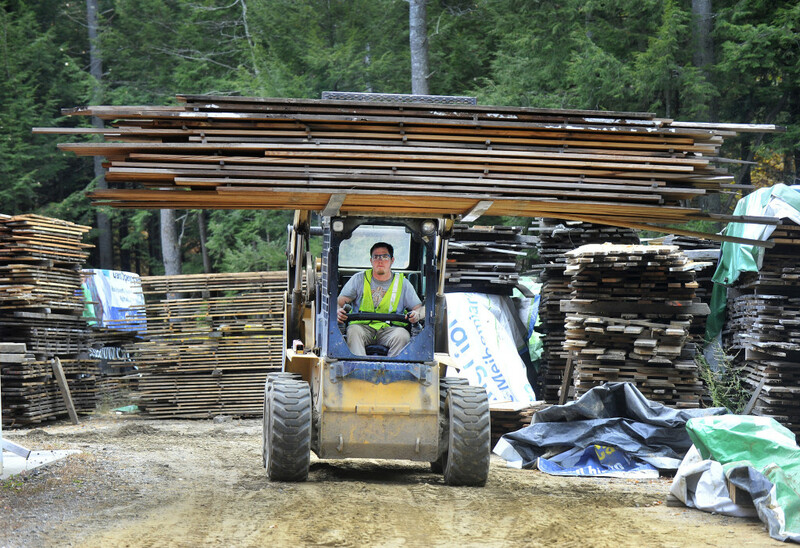 While the wood didn’t grow here, after more than 100 years it became a part of the Maine landscape. Costello, whose company took the circa 1895 Skowhegan New Balance warehouse down, said he thinks the building had always been a warehouse, perhaps once associated with a nearby mill. He said the building also contained some native pine, oak and hemlock, but those materials are harder to recover than the heart pine. Just about all reclaimed wood must go through some kind of cleaning process when it comes in. Barn wood might be coated in cow and chicken manure. “We get into buildings that are industrial buildings where sometimes machine oil or whale oil – that’s how old the building is – gets onto the wood and we have to separate all that out,” Poirier said. Workers might use a wire brush on barn board, or do a little hand sanding, but every effort is made to preserve the original patina. 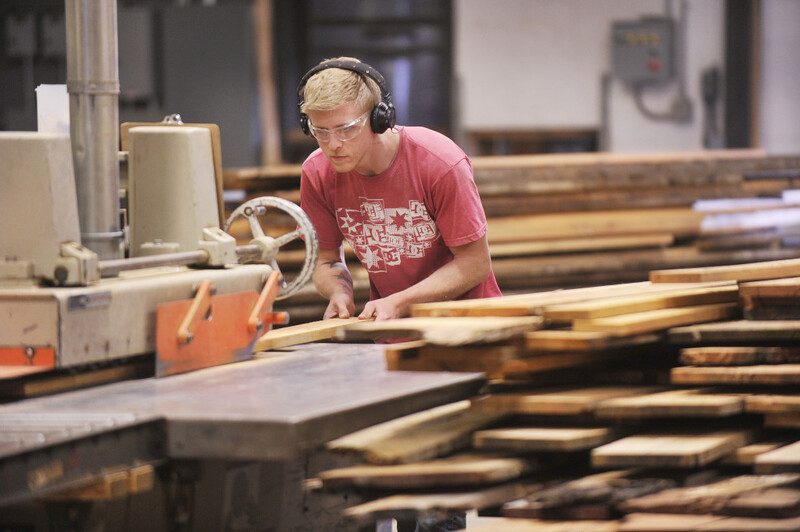 Poirier has also bought salvaged maple flooring from the Pepperell Mill Campus, a complex of 18 buildings that is being turned into apartments and commercial space. Most of the buildings were constructed from the 1840s to the 1890s, according to Sanford, the owner/developer. After the heart pine from Skowhegan and the maple from Biddeford went through the Longleaf Lumber mill in Berwick, it was sold to Counter Culture Coffee in New York City – 1,800 square feet in all. The maple was once again used as flooring, and the heart pine was finished with a Danish teak oil and used for all the countertops. 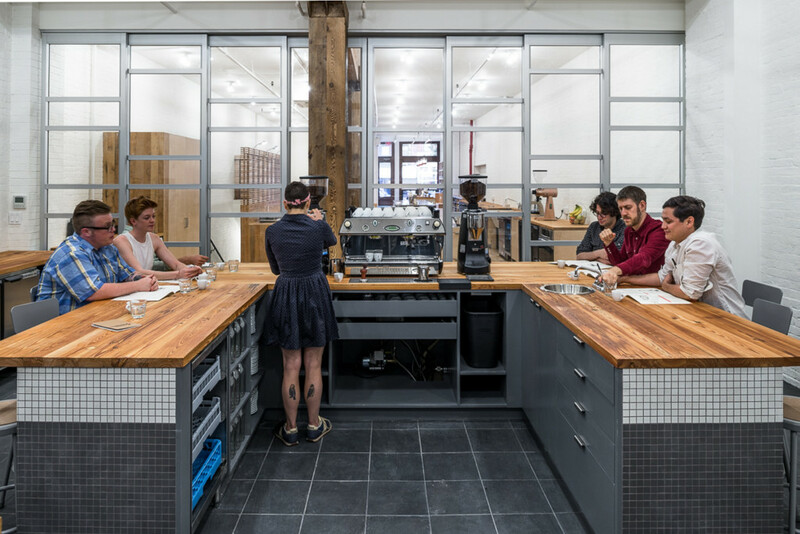 Jesse Kahn, who heads design of the company’s training centers, said that while it’s nice the wood has a story to tell, his primary goal in ordering it was to keep the barista training center in SoHo green. 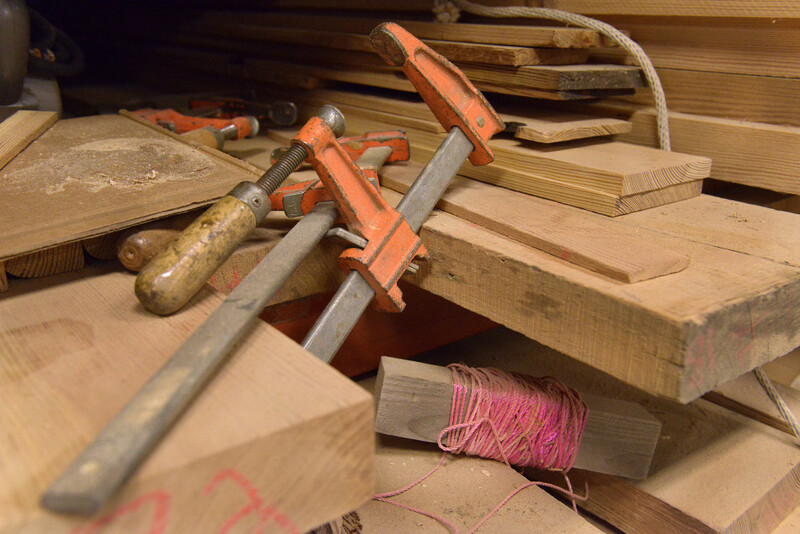 The popularity of reclaimed wood is not limited to American homes and businesses. Poirier says he’s sent wood all over the world, most recently to Japan. “Right now, design-wise, they’re really into rustic Americana,” he said. 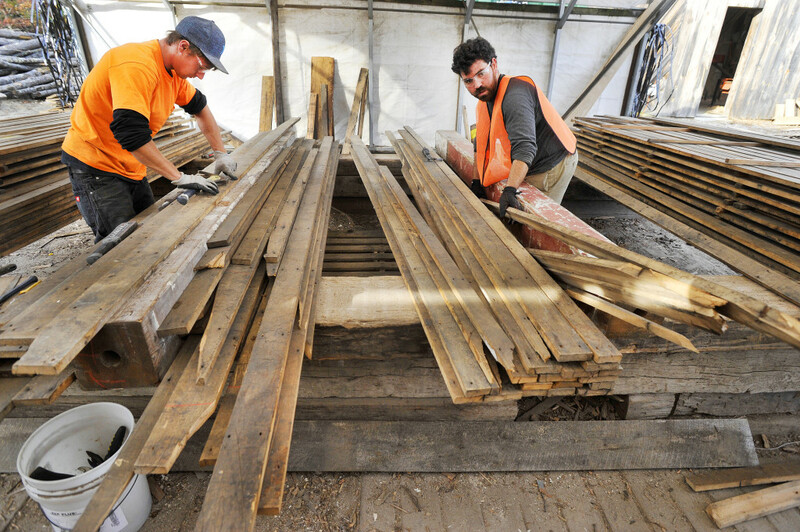 With reclaimed wood so popular, what does the future hold? Won’t we eventually run out? Poirier and Morrissette agree that while there’s still plenty of industrial wood, New England barn wood is a different story.